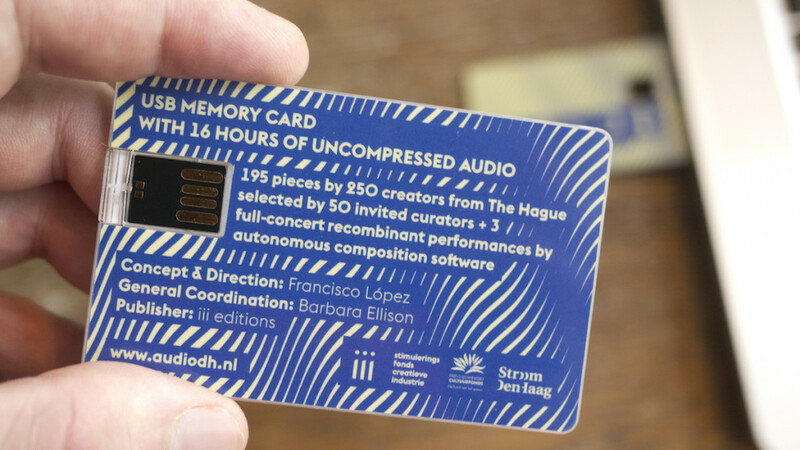 This physical edition collects 195 audio tracks by 250 artists plus 3 full-concert recombinant performances by autonomous composition software, for a total of 16 hours of uncompressed audio, in the format of a high capacity USB credit card. 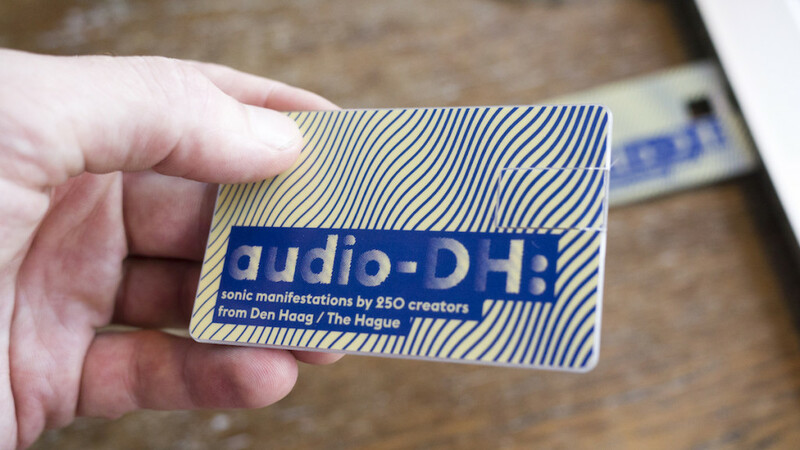 This material is made available for online streaming and free download in mp3 format via audiodh.nl. 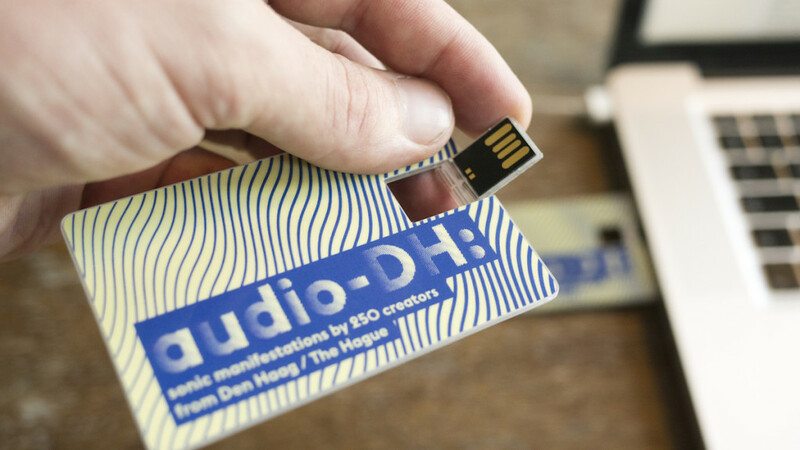 By purchasing the physical edition you can support this project and receive high quality uncompressed audio files.